making: ROBYN'S FETISH CHALLENGE #259 "USE BAKER'S TWINE"
Having a good morning so far? I hope so. I'm enjoying this day because there is a chance of rain everyday this coming week. It rained almost everyday last week. My husband missed two days of work last week because of lightning. I was watching my great nieces and nephew when one of the worst storms came through here. My one great nice Emmy hates storms so I told her the story that I grew up with. I told her that when it thundered it was angels bowling and getting a strike. She said it after me and then said no I think they are falling down. It's amazing what they come up with but I kept her concentrated on something else and she didn't focus on the storm at all. Things you do for the little ones. Let's get the baker's twine. 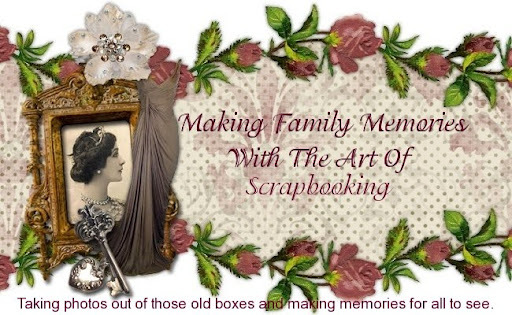 I have heard of this for scrapbooking but never used it. Didn't really know what to do with it. I should have checked you tube. Bugaboo Digi Stamps is our great sponsor this week. They are currently working on their home page but you can still shop their. Another great thing is they have Freebie Friday. You can sign up for their newsletter or just visit there every Friday. I definitely love the digital stamp they let me use. It is called Edward Springtime. The elephant in the image was what drew me in on this one. Let me tell you about the great prize they are giving. I'm going to show you my card now with the stamp called "Edward Springtime." Is this not the cutest thing that you have ever seen. I didn't have little chicks to add on to the card. 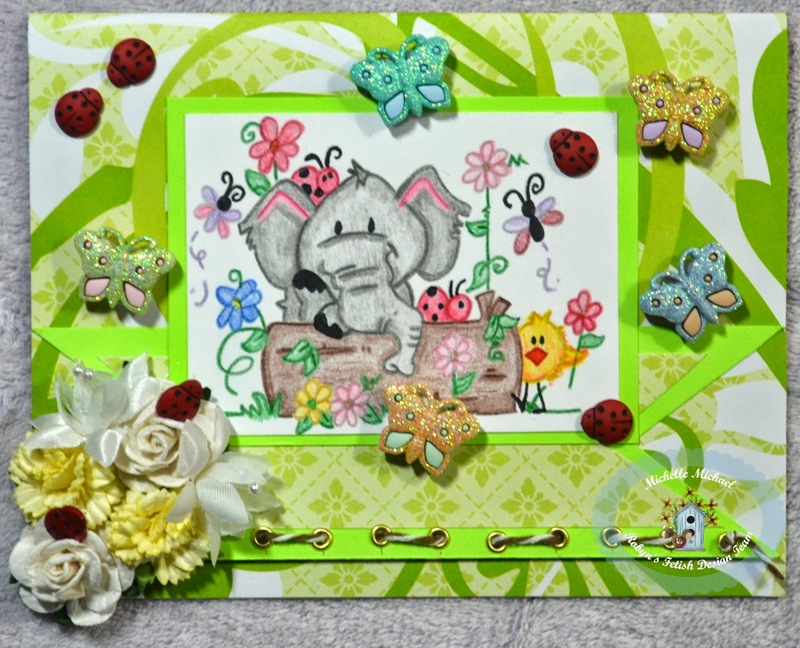 The elephant that I had was bigger then the one on the card so they are with other friends. I just wanted every animal to have a friend to go with them. it still looks OK though. I will tell you the items that I used to make this cute card. I want to Thank You for reading my post today and hope you will join us in this new challenge for this week. 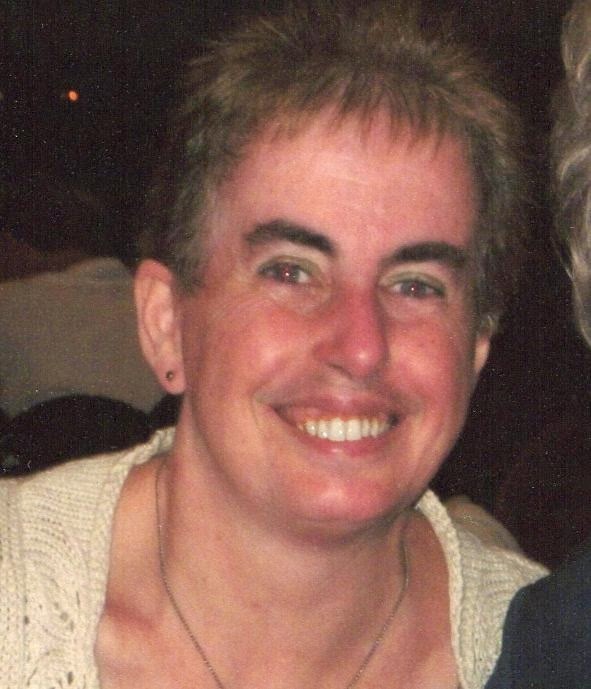 You just need to go to Robyn's Fetish Challenge Blog and add your project there. Also, if you are interested we are having a Design Team Call until the end of the month. Just read the home page of the blog and read the requirements.